Drepung Gomang Center For Engaging Compassion - Momo and Movie Night! Pick up between 5 and 7pm. 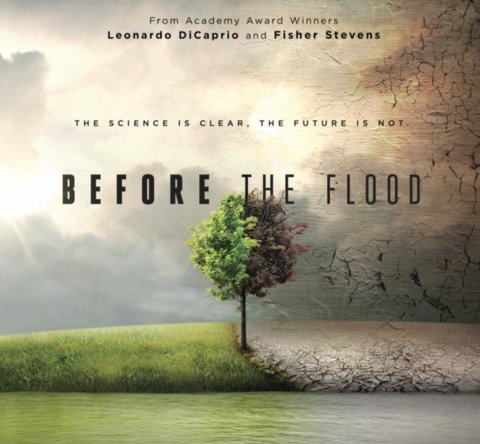 From Academy Award-winning filmmaker Fisher Stevens and Academy Award-winning actor, environmental activist and U.N. Messenger of Peace Leonardo DiCaprio, Before the Flood presents a riveting account of the dramatic changes now occurring around the world due to climate change, as well as the actions we as individuals and as a society can take to prevent catastrophic disruption of life on our planet. The film follows Leonardo DiCaprio as he travels to five continents and the Arctic speaking to scientists, world leaders, activists and local residents to gain deeper understanding of this complex issue and investigate concrete solutions to the most pressing environmental challenge of our time. “From India to Florida to China, we met people whose lives were upended by the devastating impacts of our changing climate, including some from the most vulnerable communities on Earth.